Officers from the Beijing Food and Drug Administration check imported food at a supermarket on Thursday. The Chinese Foreign Ministry has urged the Japanese government to take more effective measures to handle the environmental aftermath of the Fukushima nuclear disaster and disclose information to ensure marine environmental safety and the safety of people in other countries. Hua Chunying, spokeswoman for the Ministry of Foreign Affairs, made the comment on Thursday following exposure by China’s State television station that food products from areas affected by the nuclear disaster in Japan are being sold in China. China’s top food regulator promised on Thursday to punish such irregularities involving food safety exposed in China Central Television’s annual World Consumer Rights Day program on Wednesday. “We have demanded local food and drug supervision authorities investigate the irregularities and transfer criminal suspects to public security authorities,” the China Food and Drug Administration said. Food and drug authorities must strengthen supervision over food safety and severely punish culprits, it said. Food from areas affected by the 2011 Fukushima nuclear disaster have been sold on many e-commerce platforms in China and in some brick-and-mortar shops, including dairy, cereal, rice and wine, CCTV reported. Although some of the products had labeling in Japanese that specified manufacturing locations such as Tokyo and Tochigi, they were covered by Chinese labels that only stated the manufacturing location as Japan, the report said. China has banned the importation of food and animal feed from Tokyo and 11 prefectures, including Fukushima, Niigata-ken and Tochigi, since April 2011 to guard against risks, according to the General Administration of Quality Supervision, Inspection and Quarantine. Major supermarkets and e-commerce platforms in Beijing started to inspect imported food products following the CCTV report and found no product from any of the 12 areas, Ji Ye, an official at Beijing Food and Drug Administration, said. The administration is also conducting inspections of food enterprises in Beijing, including MUJI and 7-Eleven, and will recall any product that is imported from the affected areas, he said. More than 13,000 online shops in China were suspected of selling food from these banned areas, according to the Shenzhen Market and Quality Supervision Commission, CCTV reported. Law enforcement officers from the commission found nearly 20,000 packages of “Calbee” brand oatmeal, which is from Tochigi, at a company in Shenzhen, the report said. Some supermarkets, including Japanese brand MUJI, are also suspected of violations, CCTV said. MUJI said on Thursday that the two kinds of products, a cereal beverage and a muffin, are made in Fukui-ken and Osaka, which are not on the list of imports banned by China’s quality supervision authorities. TOKYO (Reuters) – Tokyo Electric Power Co Holdings on Friday denied a media report that it was set to decommission a nuclear reactor that suffered only minor damage compared with the nearby Fukushima Daiichi plant that was wrecked after a massive quake in 2011. The Mainichi newspaper reported earlier that Tepco was likely to decommission the No.1 reactor at the Fukushima Daini power plant as it was the worst-hit of the facility’s four reactors after the quake and tsunami, temporarily losing cooling functions. Local governments have been calling for the decommission of all four reactors at Fukushima Daini. The government and the ruling Liberal Democratic Party have also pressed Tepco to make a decision on decommissioning the No.1 reactor. Dozens of reactors elsewhere in Japan are still going through a relicensing process by a new regulator set up after the Fukushima disaster in 2011, the world’s worst since Chernobyl 25 years previously, highlighted regulatory and operational failings by the country’s nuclear utilities. NUCLEAR TURKEY? Imam close to Erdogan calls for weapons NOW amid tensions with EU, Express UK, 17 Mar 17 TURKEY should ignore rules set by ‘the West’ and build its own NUCLEAR WEAPONS – an Imam close to president Recep Tayyip Erdogan has advised – as the fallout between Brussels and Ankara deepens. By ZOIE O’BRIEN, Mar 16, 2017 The worrying advice has been called weeks ahead of a Turkish referendum aimed at giving more power to President Erdogan – and in the midst of a keeping fallout between Ankara and EU leaders. Hayrettin Karaman, the Turkish AK Party’s go-to religious leader, attacked ‘the West’ in a letter which insisted Erdogan should immediately invest in weapons of mass destruction. In the online post the imam accused Christian countries in the West of egotism and racism – stating the bad attitude towards Turkey has been “accelerated”. President Erdogan is in the midst of a deep fall out with European nations including Germany and the Netherlands after both countries banned rallies and kicked out his ministers who had sworn to campaign for his referendum. Mr Erdogan retaliated by comparing them to Nazis and protests were held outside the Dutch embassy in Ankara. The fallout threatens the £5billion one-for-one migrant deal. After years of banning Japan’s fish and agriculture, many countries might be willing to give the nation a second chance and import its goods. The Fukushima Daiichi nuclear disaster in 2011 and the resulting radiation in the region caused 54 countries and regions to implement restrictions on certain Japanese goods. That number has shrunken to 33, with more nations likely to follow suit and lift the ban, the Japan Times reported Wednesday. “We are looking forward to the lifting of the South Korean import ban,” Masao Atsumi, a sea-squirt farmer in Miyagi prefecture, told the Japan Times. South Korea, which received about 70 percent of Japan’s sea squirt exports, imposed a ban on fish imports from eight prefectures in Japan in 2013. The European Union began easing its own restrictions on Japanese imports in 2016. China, Taiwan, Hong Kong, Macao, Singapore and Russia all continued to ban products from certain regions. Lifting such restrictions could be a sign that Japan, still heavily burdened by the disaster six years later, was on the road to recovery. The nuclear meltdown left a zone of more than 300 miles surrounding the plant uninhabitable, causing the evacuation of 160,000 residents. Many of those residents were set to begin returning in the coming days. Despite progress, serious problems have continued to pervade the region. Due to melted fuel debris, radiation in the nuclear plant recently reached the highest levels ever recorded inside, with experts calling it “unimaginable.” Radiation reached such elevated levels that the robots tasked with cleaning the reactor could not survive. Tokyo Electric Power Company, the group responsible for the cleanup, was still struggling to complete the $188 billion recovery process to decommission the plant, a project estimated to take decades. The barren region left behind by the disaster also has a wild boar problem. Hundreds of the animals began invading towns surrounding the defunct plant after residents fled, scavenging for food and virtually taking over. 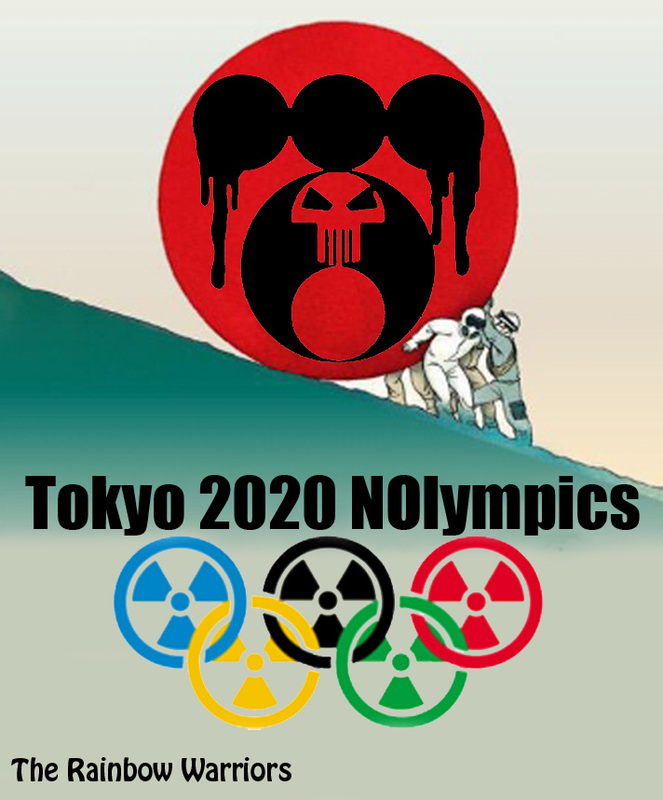 Some baseball and softball events will be held about 70km from nuclear power plant that suffered triple meltdown in 2011, Guardian, Justin McCurry , 17 Mar 17, Fukushima has been chosen to host baseball and softball matches at the 2020 Tokyo Olympics, organisers said on Friday, a move they hope will boost the region’s recovery from the March 2011 nuclear disaster. Riccardo Fraccari, the president of the World Baseball Softball Confederation, welcomed the IOC’s change of heart, describing it as a “great step” that would to “inspire hope and highlight the regeneration in Fukushima”….. If Trump doesn’t even care about New York City, what does he care about? Only navel-gazing? His petty spat with Arnold Schwarzenegger suggests that to be so. Nero fiddling while Rome burned! Oh, wait, does Trump prefer Moscow to Manhattan, perhaps? Sea-level rise poses ‘a serious threat’ to millions of Europeans, scientists warn. A new study spells out the threat of sea-level rise in coastal communities.The kind of devastating flooding that occurs once every century along Europe’s northern coastline could become an annual event if greenhouse gas emissions continue to climb, according to a recent study published in the journal Earth’s Future. New analysis takes into account changes in sea-level rise, tides, waves, and storm surge over the 21st century and found that climate change could prompt extreme sea levels — the maximum levels seen during major storms, which produce massive flooding — to increase significantly along the European coastline by 2100. Kevin Trenberth, a scientist with the climate analysis section of the National Center for Atmospheric Research, who was not involved in this research, said the signs of extreme sea levels are already worrisome, not just in Europe, but in the United States as well. “Witness the sunshine flooding in Florida already, the flooding that shows up even with no storm on many streets any time there is a slightly high tide,” he said. The researchers studied changes in extreme sea levels by 2100 under different greenhouse gas scenarios and considered how all these components — mean sea level, tides, waves, and storm surge — will be affected by climate change. f emissions continue to rise unabated throughout this century, extreme sea levels along Europe’s coastlines could increase by more than 2.5 feet, on average, by 2100. Under a more moderate situation, where greenhouse gas emissions peak in 2040, 100-year extreme sea levels still could jump by nearly 2 feet, on average, by the end of the century — with flooding events occurring every few years — according to study’s authors. The new study attributed the changes in wave energy to the intensification of weather patterns, like El Niño. The new research will be provided to European Union policymakers. The data will also be made public so it can be used by scientists, engineers, and coastal managers. Marlene Cimons writes for Nexus Media, a syndicated newswire covering climate, energy, policy, art & culture. ECONOMIC COST OF #CLIMATECHANGE ARE ‘MASSIVE’, JPratt27, 17 Mar 17 Funding efforts to fight climate change is “a waste of your money,” the director of the Office of Management and Budget Mick Mulvaney said in a press conference today. But Mulvaney is dangerously wrong: in fact, experts say that that the economic costs of climate change are so massive that delayed action, or inaction, is the most expensive policy option out there. Mulvaney was defending President Trump’s proposed 2018 budget, which cuts funding for the Environmental Protection Agency by 31 percent — making good on Trump’s threat to dismantle the agency. “Regarding the question as to climate change, the president was fairly straightforward,” Mulvaney said. That’s a really bad idea, for a couple of reasons. But first, let’s get this out of the way: there is overwhelming evidence that climate change is real, and caused by carbon emissions. Scientifically, the debate’s over and this is our fault — no matter how much Scott Pruitt or Ryan Zinke try to duck responsibility on behalf of humankind. Second, there are big chunks of the US economy that depend on the global temperature staying put — like the agriculture and fish industries, for example. …….as global temperatures climb, severe droughts, extreme rain and snowfall, flooding, and heatwaves have already started to increase — making it a lot harder to grow crops no matter how much they love guzzling down that CO2. We’ve started seeing some of the consequences of climate change on agriculture already, according to a government report: high temperatures in 2011 cost meat producers more than $1 billion dollars in what the EPA called “heat-related losses.” …..
Nationwide, The Risky Business Project estimates that anywhere from $66 billion to $106 billion of coastal real estate is probably going to hard to enjoy without a snorkel by the year 2100. This is bad for more than just Mar-a-Lago: massive coastal flooding could also have major ripple effects on the economy, according to a report by government-sponsored mortgage company Freddie Mac. Coastal businesses could relocate or simply go under, taking jobs with them. Big picture, global warming could cause the global economy to plummet — leading to a 23 percent drop in gross domestic product per person by the year 2100, according to a 2015 study published in Nature. “We’re basically throwing away money by not addressing the issue,” Marshall Burke, an assistant professor at Stanford University, told TIME. Even bankers agree — and they’re not known for being tree-huggers………. waiting to start fighting global warming — or sitting out the fight altogether — is a bad deal for America’s future. Given President Trump’s claims about his business acumen, he, of all people, should see that. —roughly 31 percent—taking the agency’s annual budget from $8.1 billion to $5.7 billion, the smallest since it was formed in 1970. These cuts will cripple regulation of air and water quality, strip oversight of a wide range of land management programs, and loosen restrictions on chemical emissions from industrial facilities. Much of this money would be shifted directly over to the military, which the Trump Administration wants to bolster with an additional $54 billion over the final Obama allocations……. Some of the immediate opposition has crossed party lines. Ohio’s recently re-elected Republican Senator Rob Portman, a close associate of former President George W. Bush, strongly opposed cuts to the $300 million Great Lakes Restoration Initiative. Bill Becker of the National Association of Clean Air Agencies warned, “if such cuts are realized, many more people will die prematurely and get sick unnecessarily due to air, water and waste pollution.”……. World financial leaders have dropped a reference to financing climate change from their draft communique, says an official taking part in a meeting of finance ministers and central bankers of the Group of 20 leading economies. At their last meeting in July 2016 in the Chinese city of Chengdu, the G20 financial leaders said they encouraged all signatories of the Paris Agreement on climate change to bring the deal into force as soon as possible. “Climate change is out for the time being,” said the official, who asked not to be named. US President Donald Trump has called global warming a “hoax” concocted by China to hurt US industry and vowed to unpick the Paris climate accord that is supposed to curb rising temperatures.